A project featuring Austin's most abundant (and controversial) commodity: transportation gridlock. 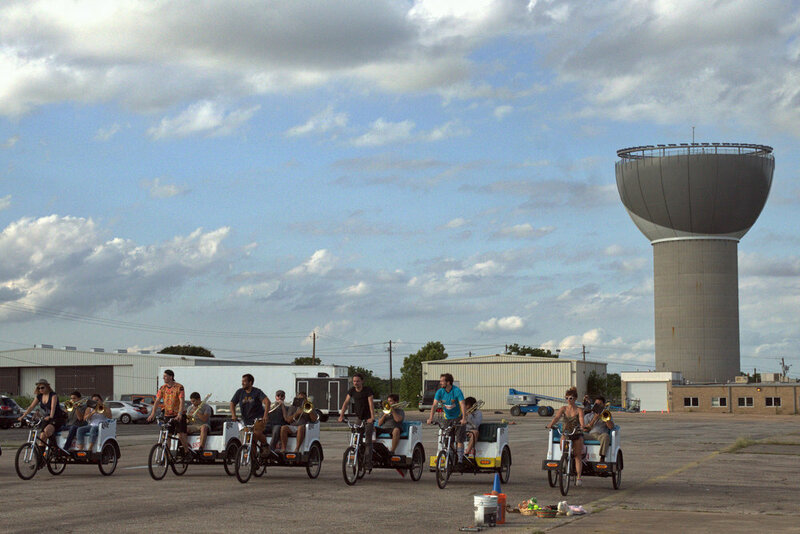 New works for ensembles of 80 carhorns, bicycles, pedicabs, and automobiles, performed in a parking lot. Featuring the UTSA Trombone Choir, Mark McCoin, Randy Maguire, line upon line percussion, Travis Weller, Ethan Greene, Steve Snowden, and Austin Soundwaves. This project was supported in part by the City of Austin Cultural Arts Division, the Texas Commission for the Arts, the Texas Music Office, and New Music USA.